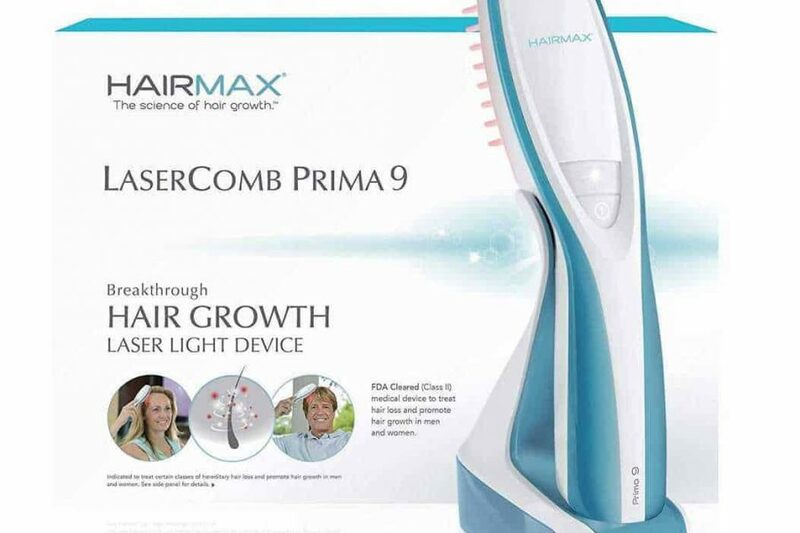 Whilst it might sound a bit futuristic, the Laser comb by HairMax, a brush capable of emitting a low-level laser beam that can assist with the stimulation of hair growth and skin healing has been around for a number of years. In 2007 it was granted status by the FDA as a hair loss treatment method that was clinically proven. The Laser comb is a hand-held device that can be used at home. Unlike treatments available in a hair salon which can run to thousands of pounds there is just the one initial payment to be made and the comb will last you years. It works by emitting a gentle red light directly onto the scalp, this stimulates the growth of new hair and is proven to assist with the problem of male pattern baldness. It can be used on its own or if you are having other hair loss treatments it can be used in conjunction with those. The comb uses Photo-Bio Stimulation to produce positive results, it helps to increase not only vascular circulation but also ATP production as well. Essentially it is an “Anagen Inductor” meaning it causes hairs to move into their growth cycle in order to achieve the required results. The Laser Comb is invaluable for both men and women; whether they are struggling with thinning hair, have developed a bald patch (men) or have hair that has simply become unhealthy and unmanageable. It doesn’t take long before results, such as thicker shinier hair, can be seen around 5 to 10 weeks. Beyond that initial time frame the individual using the comb may notice that their hair will begin to look stronger, thicker and much fuller. There are three different models of the laser comb, The Advanced -7, the Lux -9 and finally the professional -12. Whichever one you choose it should be used 2-3 times each week in order to see results. The main difference between the three models is the width of the light that is used on each pass through the hair, the wider the comb the shorter the treatment tie requires as it covers more hair per pass. This is the only significant difference however they all have longer lasting lithium ion batteries and come with the same accessories. Of course, this is only one option for hair loss treatment and it may not suit you well. Here at the Wimpole Clinic we are able to assess your scalp and the condition of your hair to help you decide on the right treatment for your specific needs. Why not get in touch?